Imagine yourself inside a grocery store looking for a specific product you need at home. In searching for the product, you need to check the bottle label in order to know the details of the product. Labels do not only indicate the name and brand of a product but also provide information regarding its content. Similarly, a beer bottle must have a label for brand awareness and product information. 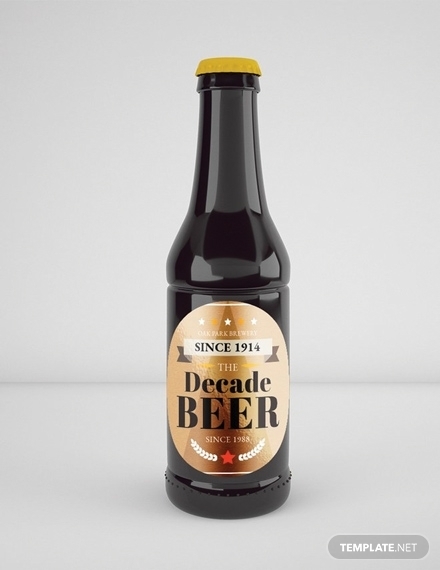 This will give the buyer the details about the beer and, at the same time, provide aesthetics on the beer bottle Label designs. Hence, when you are manufacturing a beer, it is important that you create labels for visual enhancement and functionality. 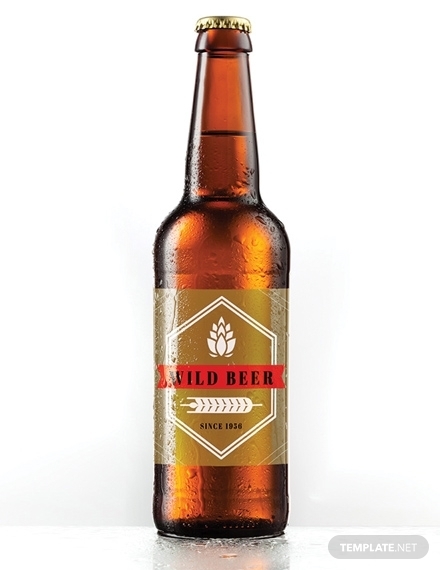 Here are examples and templates of beer labels that you can refer to. 1. Colors: In choosing for the color of your beer label, one of the considerations that you must know is the color of the beer bottle. 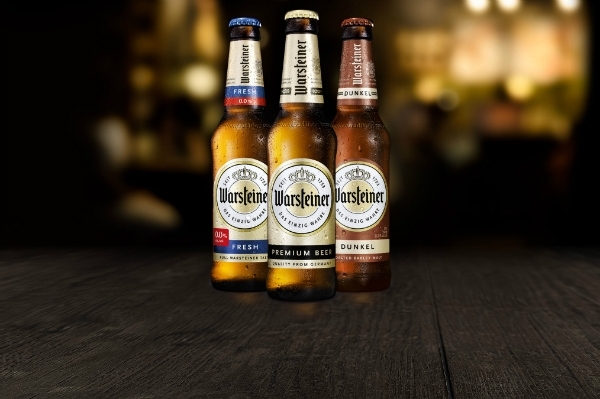 Commonly, there are three colors of a beer bottle, namely clear, brown, and green. Brown beer bottles: These will keep the beer from getting skunky by filtering out ultraviolet and regular light. But, for beers with little to no hops, they are not susceptible to light. Hence, you can go for clear or green bottles. The complementary label colors for brown bottles are warm colors such as orange, red, and gold. 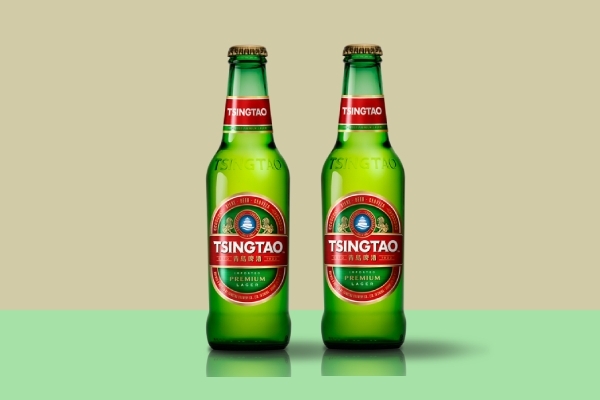 Green bottles: These became a status symbol for an extremely high-quality beer. 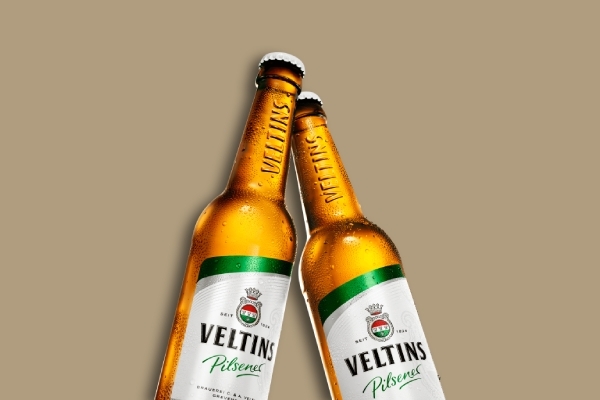 Beer bottles of this color are commonly paired with black and white labels with a pop of red to complement with green. Clear bottles: These are the classic and commonly used bottles for beer. Because it is clear, a lot of colors can complement well with the bottle including dark colors such as brown and black with a touch of light colors. 2. Shape and size: Another important element of a beer label is the shape and size of your label. 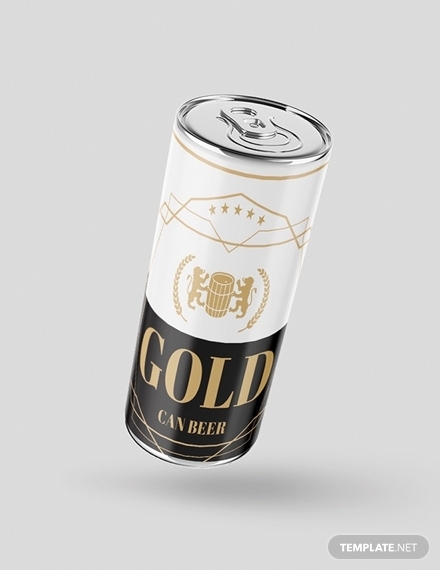 For the shape, you might opt for the traditional rectangular one or you may try something custom, perhaps a die cut, to make your label stand out from the rest of the beer labels. However, you must also consider the printing costs of the customized shape for your label. You might also be interested in wine labels. 3. Typography: Apart from the colors, the fonts that you use in your label can communicate a lot about the personality and branding of your beer. For example, serif and script fonts provide your beer label a more classic visual presentation while sans serif fonts provide a modern touch for your label. Another thing that you must consider in choosing for the appropriate font is the readability of your text. 4. 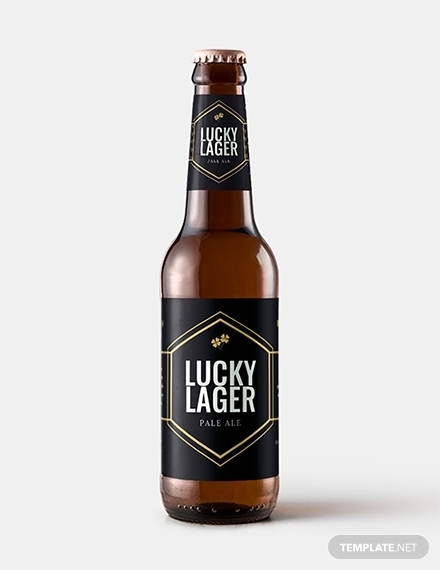 Imagery: You can decide regarding the imagery of your beer label after you decide on the style. 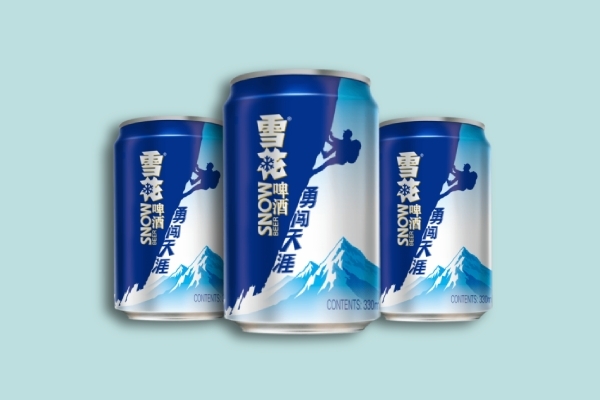 Usually, the style for a beer label is one prominent color, large name, and abstract designs. The style must be dictated by your target audience. For example, if your market are young customers, you might go with a label that is a bit trippy. On the other hand, if you are targeting a classier market, a minimalist label would do. Incorporate the unique aspects of your product such as specific ingredients, particular brewing technique in crafting your beer, among others. 7. Adhesives: The adhesive of a bottle label may not have an impact on the looks of your bottle design but it is a crucial element that must not be overlooked as it helps your label not to fall off the bottle. Permanent: This type of adhesive provides designers a sense of comfort. This is usually more cost-effective and durable as it is designed to stick for a long time once it is placed on the bottle. Removable: While you might be thinking that a removable adhesive is a disadvantage, there are actually a couple of benefits offered by removable labels. They might be more expensive but they give you the opportunity to reapply labels without leaving a visible residue on the bottle. They are also good for promo items, like peel-off labels with content or product description on the back. You may also see wedding label examples. Acrylic: Many designers would prefer acrylic adhesives because it can adhere to glass, metal, and other surfaces. It is also great for wet, rigid, and other surfaces with problematic conditions. Rubber: This type of adhesive is less versatile and might break down over time if exposed in extreme heat or humidity but is a more cost-effective option when your budget is tight. You know your beer is a lot better than its brand, but you just can’t clearly express it. It is quite a tough job convincing people to try your beer. In order to do so, you need a strong and powerful product label. A label is more than just a name of the product. It even encompasses branding and important details regarding the content of the brand. 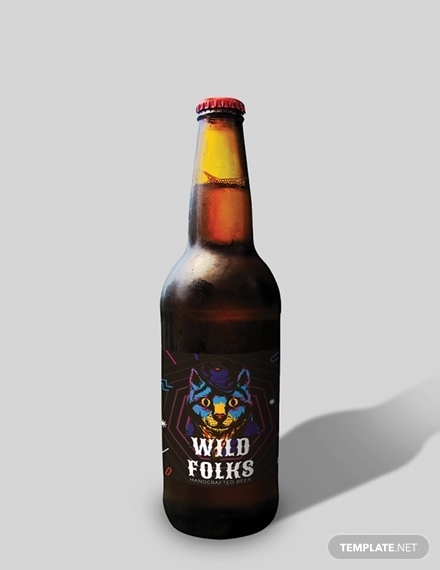 So, how then will you create a striking beer label? Here is a simple guide and tips that might help you. For whom are your products? Who is your target customer? How are your target customers buying your product? 2. Take heed on the elements of a beer label: The elements of a beer label are presented in the previous section. To reiterate, these are as follows: colors, shape and size, typography, imagery, striking words, fine print, and adhesives. These are the important elements that comprise and must be present in a beer label. 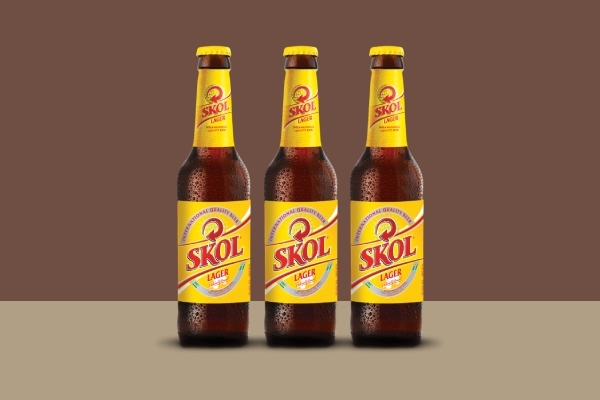 These do not only contribute to the visual appeal of the beer bottle but also provide important details about the beer. 3. 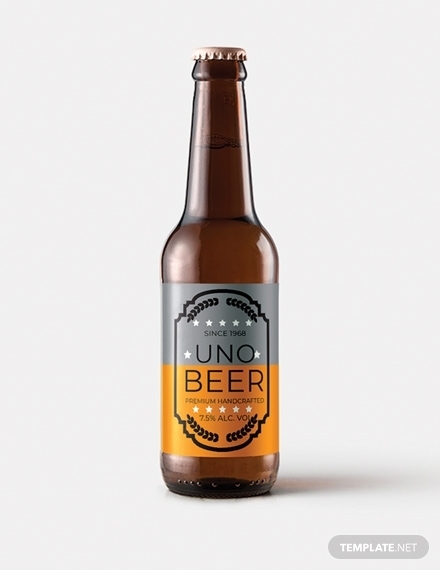 Think outside the bottle: While you are busy designing your bottle label, you must also consider the consistency of the design for your label and the overall packaging of your beer. Do not forget the design and the material for the bottle caps and the design for the beer tap hap handle. 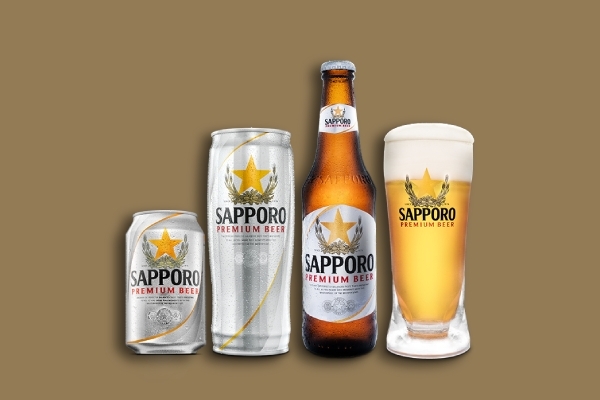 Coated paper: Considered as the most flimsy grade of beer label, which is prone to tear and ink smudge, this paper is made up of paper with a dull, gloss, or matte coating. However, the advantage of this type of paper is that it produces a sharper and brighter image than the uncoated paper. Laminated paper: Compared to coated paper labels, this is considered to be more durable since it is made of paper built up by joining together two or more layers of very thin plastic. One great feature of a laminated paper is that the ink will hold up well on the material. You may also see vintage label designs. Polypropylene: This type of material offers resistance to cold, moisture, heat, and other weather conditions and is also effective in holding colors because it is made of thermoplastic substrates. Synthetic: A newly introduced material for labels is the synthetic composite labels which are made up of a combination of polyolefin and silica filler, which provides a durable and water resistant label. 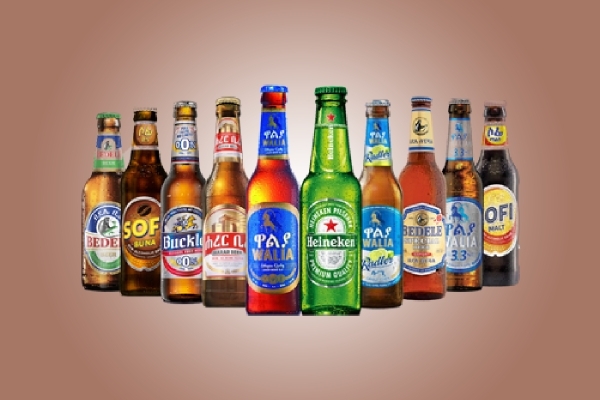 What is the importance of beer labels? Generally, a label is vital in every product as labels contain the brand of the product, manufacturer, contents, health warning, and other disclosures and provide the bottle with special appeal making it attractive to customers especially the target market. 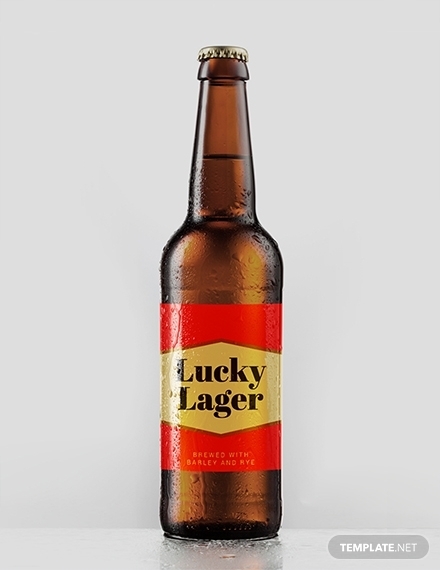 Likewise, a beer bottle must contain a label to set its name distinct from the other brands and to provide customers with the necessary information about the beer. This is also a great way of boosting brand awareness to make the public get familiarized with your brand, which will let to increased brand credibility and integrity. How will you determine the correct label size for your bottle? 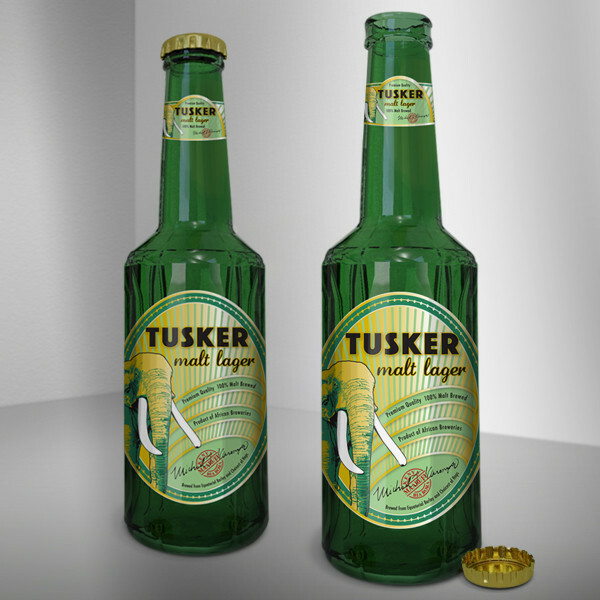 Before designing and printing your beer label, it is important that you know the measurement of your bottle so you will know the size of the label that you are going to create. There are three ways of measuring your beer bottle. These are applicable when you opt for labels that fully wrap around the bottle. 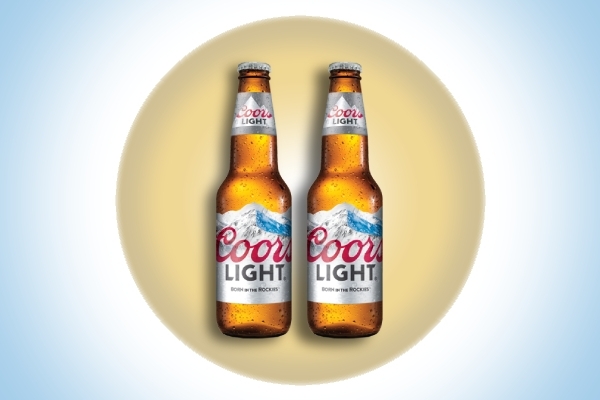 However, you may also opt for labels that are only placed on a certain portion, not fully enveloping the beer bottle. Use a paper to wrap around your beer bottle. Then, mark the part where your paper fully envelops the bottle and measure the paper with the mark. Download from the internet a printable ruler which you can wrap around the beer bottle. Solve for the circumference of the beer bottle. To do so, measure first the width of the bottle’s bottom to find its diameter. Then, multiply the diameter by the value of pi (3.1416) to get the circumference of the bottle. 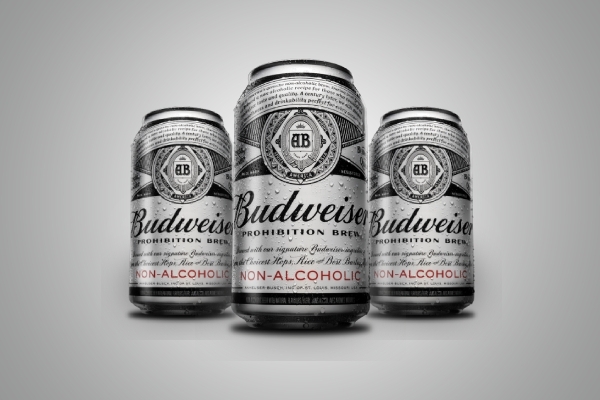 How can a beer label affect branding? The first thing that would catch buyers’ attention is the design of your label. People can also form their first impression as regards your beer through your beer label. Sometimes, they will even judge your beer by its label. The more attractive your label is, the more it is remarkable and noteworthy, which will maximize your branding. People will easily remember a well-designed label than those poorly designed ones.